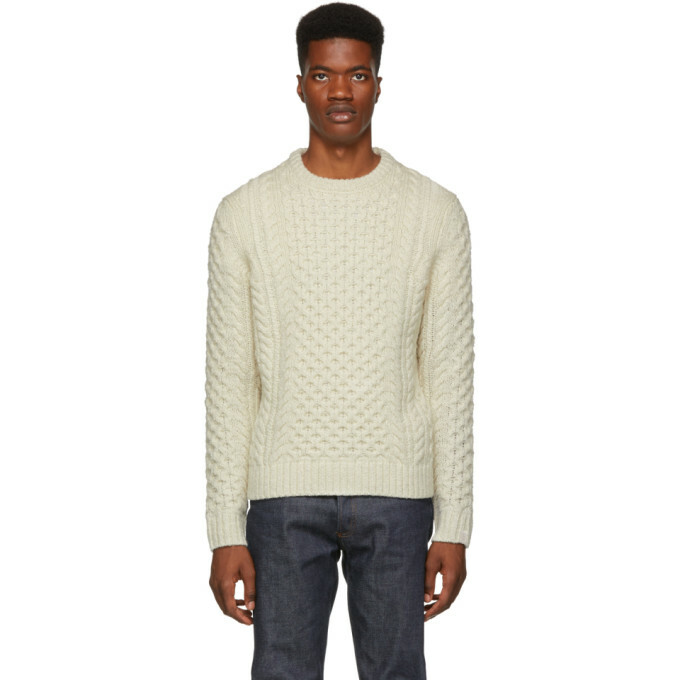 rag and bone Ivory Trevor Aran Sweater $270.00 Long sleeve aran cable knit wool blend sweater in ivory featuring reflective yarn knit throughout. Ribbed crewneck collar, cuffs, and hem. Tonal stitching. Port Manteaux churns out silly new words when you feed it an idea or two. Ie accepts no responsibility for any comments submitted. Ie redesigned now interactive feel free to leave a witty comment or two Kenzo Green Paris Logo Sweater.